The ME Association has always regarded the promotion and funding of medical research to be a key priority. We fund research through the Ramsay Research Fund (RRF) which was named after Dr Melvin Ramsay who brought the neurological disease M.E. (myalgic encephalopathy/encephalomyelitis) to the attention of the medical profession in 1955. Safe and effective forms of treatment. M.E. is a complex illness with symptoms that cut across several medical boundaries – genetics, endocrinology, immunology, muscle pathology, and neurology in particular – so research into the underlying cause of this disease is rather like piecing together a complex medical jigsaw puzzle. We actively seek researchers who will examine these underlying disease mechanisms. This must be our top priority if we are to obtain a better understanding of this disease and discover effective forms of treatment. But we want to do more to exploit the better understanding we now have about the disease, and then build on any discoveries to help change lives for the better. The Index adopts the subject headings used in the ME Association’s authoritative clinical and research guide (see above). We would encourage any researcher to first contact our medical adviser Dr Charles Shepherd (via admin@meassociation.org.uk) for an informal discussion. If you would like to submit a proposal for consideration, please do so by providing the necessary information on our research proposition form and returning it to us as soon as possible. The next stage in the process will require submission of a formal grant application, but this should not be completed until your proposition has received approval. We aim to reply to all propositions within four weeks of receipt. Grant decisions are based on the guidelines produced by the Association of Medical Research Charities and we will normally include both an internal and external peer review of all formal grant applications. What research has told us about M.E. How much do we spend on administration? We make no administration charge. We are very aware that people who give money to research want to see it spent on research – and not swallowed up by administration expenses. 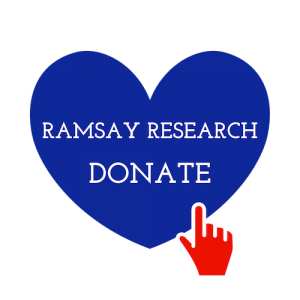 The Ramsay Research Fund is a restricted fund which means that all donations are used exclusively for research activity. We do not employ any extra staff to deal with routine administration or the research we are funding, and any support that is required is done so voluntarily or is met out of our general funds. What is our position on animal testing? The MEA Ramsay Research Fund is not funding any research that involves the use of animals nor do we have any plans (or applications) to fund research that involves the use of animals. We would not completely rule out the use of animal research if we were convinced that information from this could lead to an effective form of treatment for M.E. and that there was no other way in which this research could be carried out. But this is clearly a hypothetical situation that is very unlikely to occur because research into the treatment of M.E. is being conducted through clinical trials involving human volunteers. Why is it so important that we raise money for M.E. research? We believe that a key part of our role is to offer hope to the estimated 250,000 people with M.E. in the UK who desperately want to return to a normal way of life, and one of the best ways to achieve this goal is to fund quality biomedical research studies. M.E. research in general is appallingly underfunded compared to other serious conditions and we do as much as we can to address this imbalance. We also advocate for more funding from other sources, for example, the Medical Research Council (MRC) through membership of the CFS/ME Research Collaborative (CMRC). Medical research is very expensive – so finding the underlying cause of M.E. and effective forms of treatment isn’t going to be easy. But that has not and will not prevent us from trying!